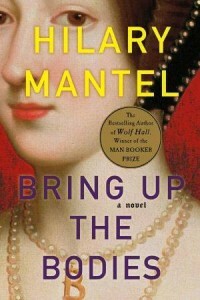 Continuing the fascinating portrayal of Thomas Cromwell from her award winning novel, Wolf Hall, Hilary Mantel seamlessly begins where the former left off: en route to Wolf Hall, the Seymour family home, where all are aware of the king’s budding desire for Jane, the meek and quiet daughter of the house. Anne Boleyn’s star is falling, and though many believe she was the making of Thomas Cromwell, readers will find that is not quite the case, nor does he need her support to continue in his own career path. The religious aspect of the reformation is not his primary focus, but rather the monetary gains, restructuring the law and guiding England to prosperity. This prodigy is the Cromwell that Mantel presents–not a power-hungry blacksmith’s son, but an experienced and self-educated lawyer who’d rather have dinner with his mixed lot household of extended family members, orphans and hangers-on than sup with the King of England. Slights are remembered, though revenge is not the foremost important factor in Cromwell’s devising of Anne’s downfall. 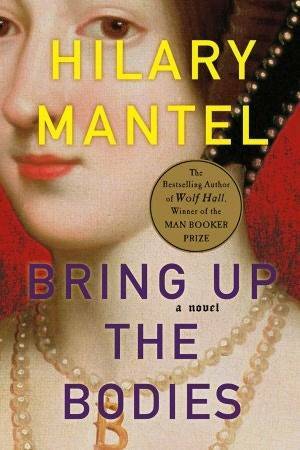 Following the king’s wishes and looking to the good of the realm, Cromwell realizes that curbing Boleyn ambition will not only open doors to other persons and families–including his own–for positions close to the king, but perhaps give England its desperately needed heir. Because there is doubt over Elizabeth’s paternity, Anne must be thoroughly divorced and then executed to tie up any loose ends. Events, however, fall a little too neatly to Cromwell’s will and it seems to the reader that it’s not so much a scheming Master Secretary that fells the queen, but the impropriety of her behavior and those around her. This novelization does not invent or infer–to make Anne Boleyn guilty–but interposes known facts and lays them out in the panoramic view of Cromwell and his familiars. Old adversaries become allies and opposing factions entwine to this most important task of ridding the king of his concubine. Mantel’s writing is refreshingly original and brilliantly rendered–the thoughts, dialog and mannerisms of her characters create a realistic telling of this well-known and overwritten story. The author has clearly taken to heart the complaint of many readers in regards to the ambiguous narration in Wolf Hall, and includes many instances of “He, Cromwell” when the points of view switch up. Exquisitely detailed and full of endearing character quirks and references from the original, even die-hard Anne Boleyn advocates will appreciate this novel for its honest representation.